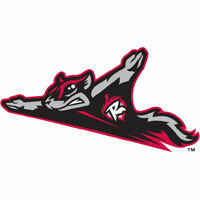 The Richmond Flying Squirrels (11-13) scored early and held on late to defeat the New Britain Rock Cats (12-11), 4-2, in front of 5,028 at New Britain Stadium on Sunday afternoon. The win allowed the Squirrels to avoid a sweep in New Britain, salvaging the final game in the three-game series. After two scoreless innings, the Squirrels broke through first against lefty Pat Dean. Ehire Adrianza got Richmond started with a double down the left-field line. Joe Panik followed and sent an RBI triple to the right-field corner. Adrianza scored for a 1-0 lead, as Panik extended his hit-streak to nine games. A batter later, Javier Herrera delivered a two-out RBI single back through the middle to bring in Panik for a 2-0 advantage. Brett Krill sparked the Squirrels again against Dean in the third inning. He led off with a single, his fifth hit of the series. Ryan Lollis followed with a single before Mark Wagner grounded into a double play. With two outs, Travious Relaford lined a single into center field. Krill scored for a 3-0 lead on Relaford’s first RBI at the Double-A level. Richmond left-hander Chris Gloor had myriad trouble through the first three innings, but worked around it to keep New Britain at bay. However, they finally got to Gloor in the fourth inning. Dan Rohlfing led off with a single and Curt Smith followed with a ground ball to first base that was misplayed by Mark Minicozzi. The error set up the Rock Cats with runners at first and second base with nobody out. Gloor responded with a strikeout of Jason Christian, but walked Danny Lehmann to load the bases. Jonathan Goncalves followed and hit a long fly ball to left field. Herrera caught up to it on the warning track. Rohlfing tagged and scored from third base, but the Squirrels gunned down Smith trying to tag to third. The double play ended the inning with the Squirrels in front, 3-1. Due to an elevated pitch count, Gloor lasted only four innings plus two batters. He departed with two runners aboard and nobody out in the fifth inning. However, left-hander Tom Vessella came on and cleaned up the fifth inning for him. Gloor was charged with just one unearned on eight hits. He walked one and struck out four. He left with the lead, but was ineligible for the win, not having gone the requisite five innings. Dean (0-3) worked five innings and took the loss for the Rock Cats. He was touched up for three runs on eight hits, walked none and struck out four. Andrew Susac padded the Richmond lead as he led off the sixth inning against New Britain right-hander A.J. Achter. Susac blasted his third home run of the season to left-center field. The solo-shot extended the Richmond lead to 4-1. Lefty Tom Vessella (2-0) was phenomenal in relief for the Squirrels, as he followed Gloor with four scoreless and hitless innings of relief. He induced two double plays, facing the minimum in his time on the mound. Right-hander Daryl Maday handled the ninth inning, conceding a lone run to the Rock Cats but closing out the win to earn his league-leading sixth save of the season. The Squirrels travel to Bowie, MD, to continue their week-long road trip. They open a four-game series with the Bowie Baysox (Baltimore Orioles) at 7:05 p.m. on Monday night from Prince George’s Stadium. RHP Justin Fitzgerald (1-0, 1.42) will make the start for the Squirrels against Bowie RHP Devin Jones (0-1, 5.17). Pregame coverage begins on Sports Radio 910, SportsRadio910.com and IHeart Radio at 6:35 p.m.